Amazing Ascenta Skin can be yours! 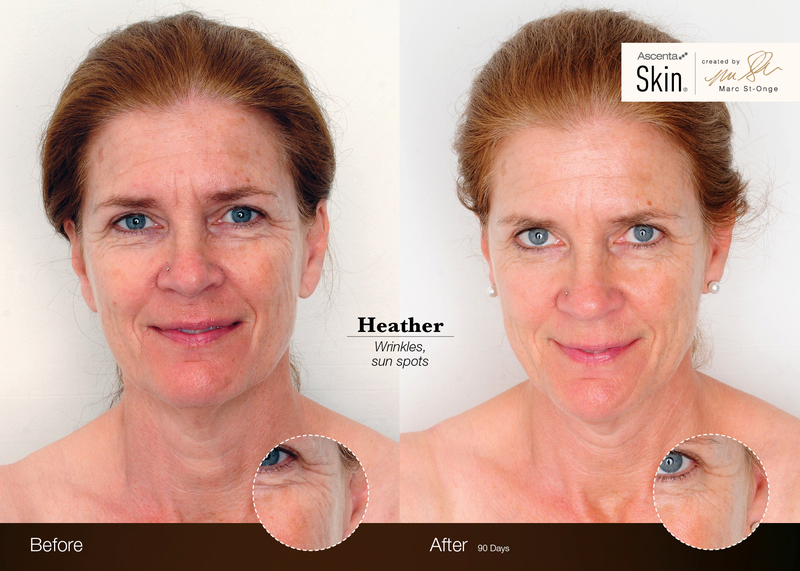 Amazing Ascenta Skin Results – age-defying, beauty elixir in a bottle. Available in liquid and softgel formulations, Ascenta Skin caters to your individual preference, with a fresh fruit flavour that eliminates the traditional aftertaste found in other omega-3 supplements (yucky, to say the least). Ascenta is designed specifically for skin health, so it boosts skin elasticity, increases skin firmness, restores skin tone, reduces roughness and redness, enhances hydration and fights UV damage. Exclusive to the spa industry, Ascenta Skin is the perfect compliment to your professional skin care treatments, and partners exceptionally well with our [comfort zone] Skin Regimen face care line. Purchase your Ascenta Skin today and we’ll ship it tomorrow!